Payment processing continues to evolve, adding to an already complex and diverse payment landscape. Legacy payment systems and traditional accounts receivable processes cannot keep pace. They are inefficient, expensive, siloed and lacking in critical security requirements. Growing your business means growing transactions, and that means finding new ways to streamline AR processes while integrating new, highly secure payment technology and processes along the way. An estimated 56% of organizations still use siloed EBPP and online payment systems, resulting in $1 billion in added operations cost annually. Thinking outside the traditional AR box and working to consolidate legacy, siloed platforms reduces your cost and streamlines your processes, increasing efficiencies, increasing cash flow, enhancing customer experiences and improving business oversight. 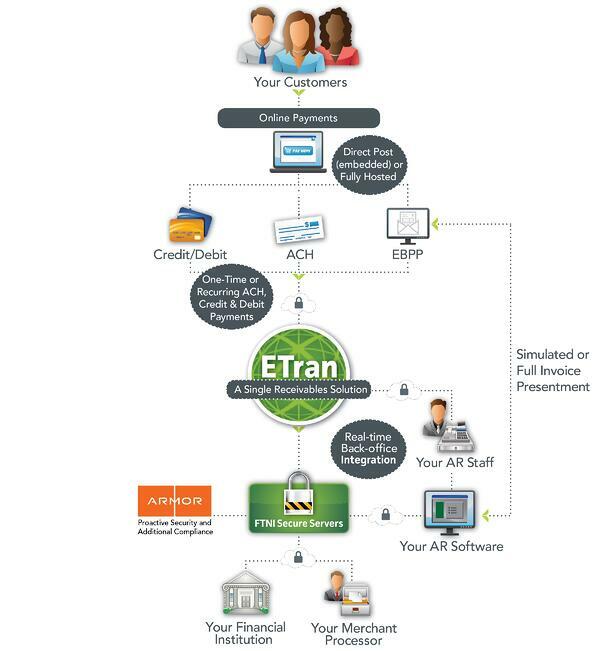 FTNI's ETran Online Payments solutions deliver multiple ways to securely accept one-time and recurring online ACH and credit/debit card payments and automatically post transaction details to your back-office accounting, AR or CRM platform(s). In our fully hosted model, FTNI delivers and maintains an online payment portal carrying your brand and overall look and feel, but hosted on our PCI-compliant, cloud-based infrastructure. Our fully hosted online payment portal minimizes internal support and IT burdens and offers your customers a convenient, secure and easy-to-use payment portal that is available 24/7/365. 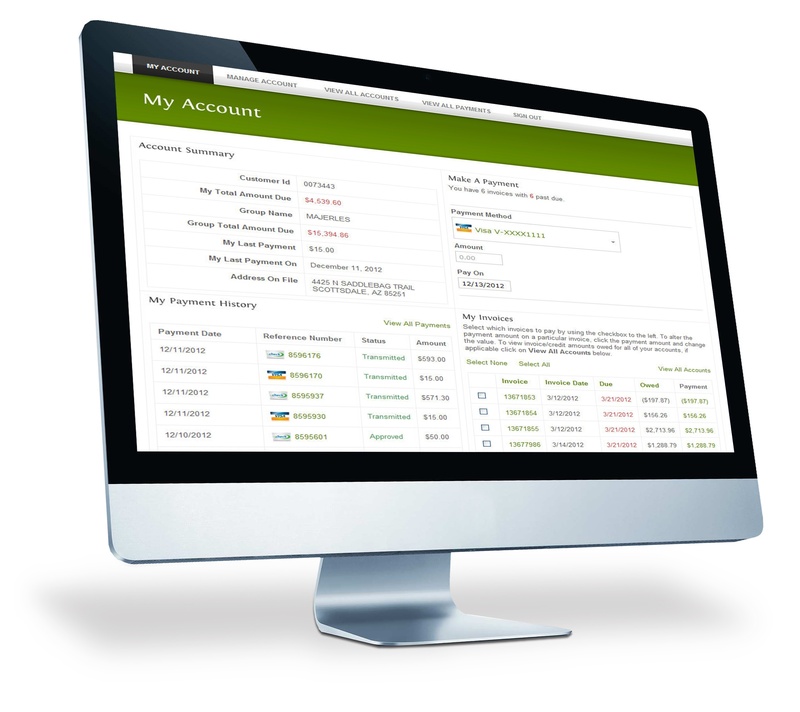 Deliver your customers complete electronic bill/invoice presentment and payment (EBPP/EIPP) functionality along with the ability to make one-time or recurring payments within a single, secure, fully-compliant, online payment portal interface. As with the ETran RDC and ETran Mobile modules, the ETran Fully-hosted Online Payment Portal is also bank, merchant processor and back-office agnostic. Continuing the strategic goal of empowering you to accept, process and post any payment method, from any payment channel, all on a single platform. Fully-compliant SaaS platform — PCI, SSAE16, HIPAA, etc. Accepting ACH and credit/debit card transactions via your existing website or customer portal has never been easier — or more secure — with FTNI's DirectPost online payment processing module. 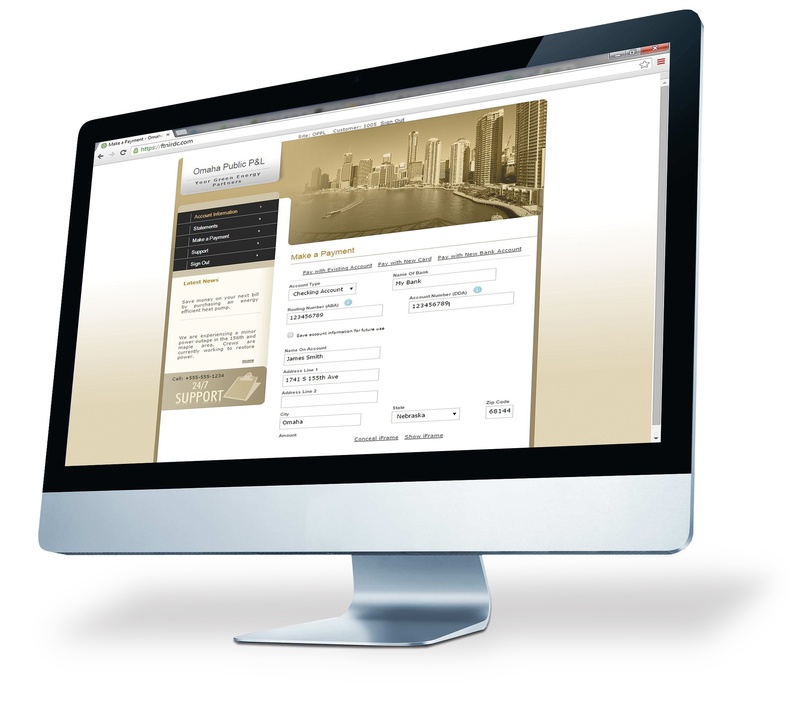 Leveraging FTNI's proprietary DirectPost online payment module, your web development or IT team can quickly and easily embed ETran’s secure payment acceptance component directly within a dedicated payment page on your website, giving you complete control over the entire user experience from beginning to end. Similar to ETran's fully-hosted online payment portal solution, ETran DirectPost works with existing bank and merchant processor relationships as well as your existing back office systems to deliver straight-through processing. With ETran's cloud-based architecture, you get the unique benefit of multiple layers of compliance and proactive security. First, you'll benefit from PCI and HIPAA compliance directly at the ETran application layer. Second, you'll benefit from the industry leading proactive security operations and additional layer of compliance (PCI, HITRUST/HIPPA, SSAE16 and more) from our hosting partner, Armor. The evolution to online payments is already here. 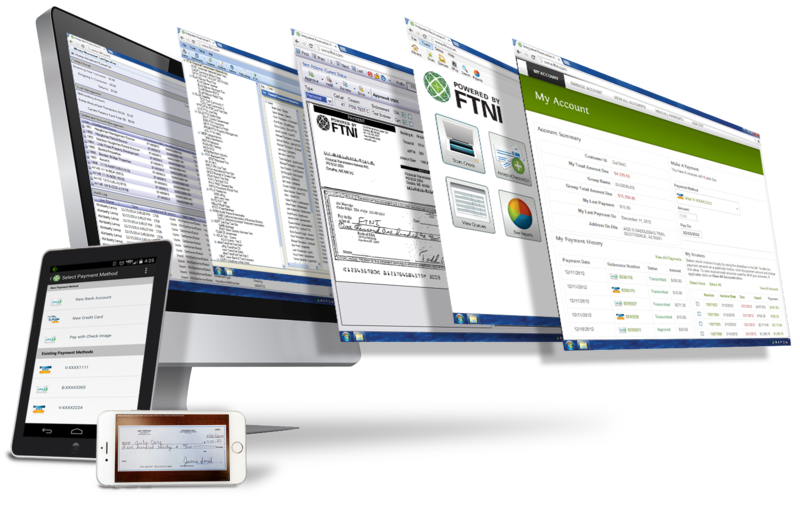 Give your organization — and your customers — the control and oversight needed by leveraging a seamlessly scalable SaaS platform and the industry-leading security, compliance and truly integrated platform that only FTNI's ETran Integrated Receivables Platform can deliver. Ready to learn more? Contact us or view the ETran demo.